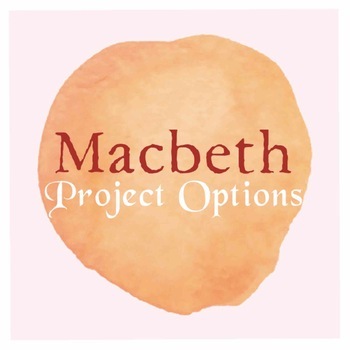 These Macbeth Project Options & Rubric are a great way to offer student choice, differentiation and appeal to multiple intelligences. After reading the play, students are offered 10 different project options ranging from writing, music, acting, and even games! I use this resource effectively with my Senior British Literature students and they LOVED it! Allow time for students to work on their project in class for a few days, and then present to their peers.